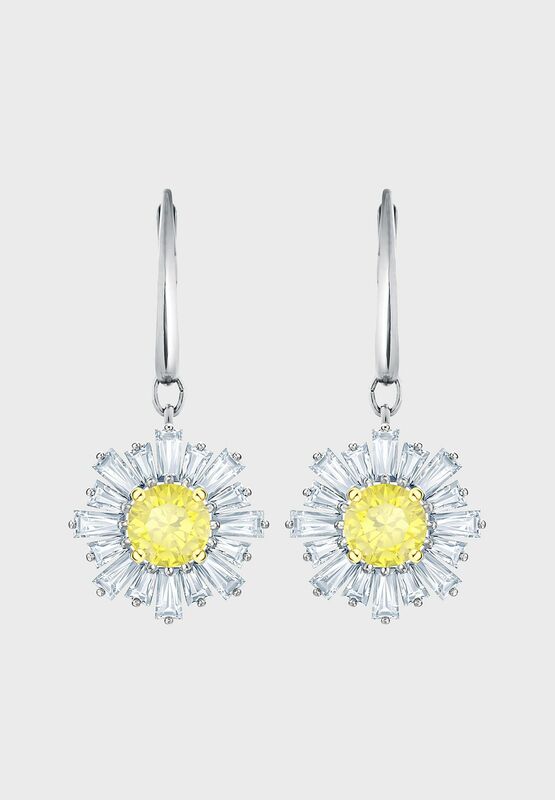 With their canary-yellow crystal centerpieces, these rhodium-plated dangling earrings will light up any outfit, from dawn till dusk and beyond. 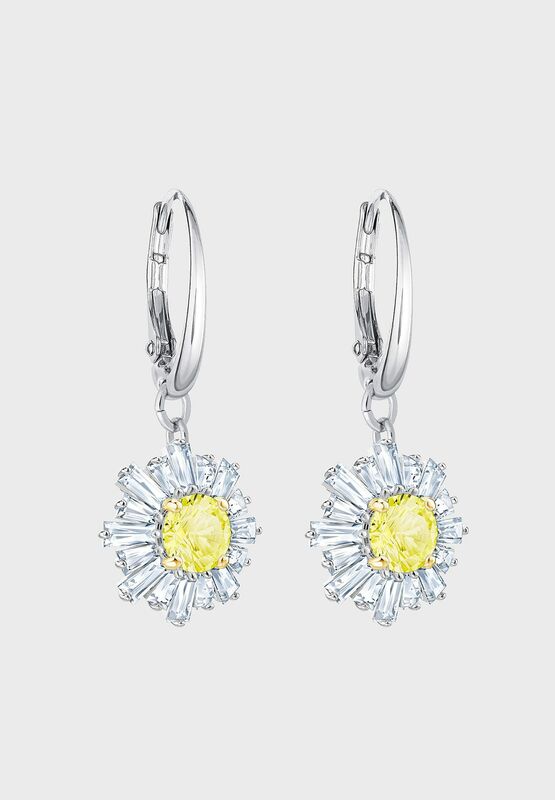 Ideal for Mother's Day gifting, this timelessly elegant design is inspired by the warmth and love between a mother and daughter. 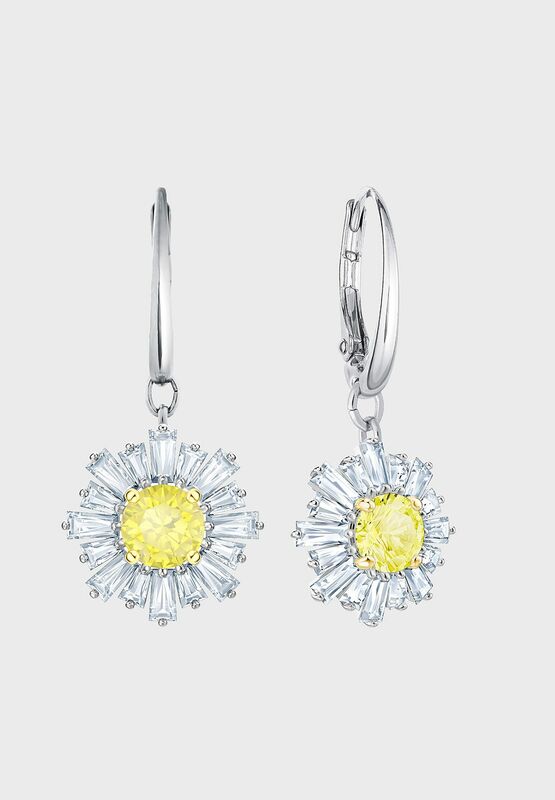 What better way to say 'You are my sunshine'?